Age Concern Eastbourne took on its first plot down at the Gorringe Road Allotments in May 2015 to add to the range of activities and services that are on offer to the over 50’s in Eastbourne. We have a growing band of allotment members who, having completely transformed the first plot from an overgrown tangle of weeds to being really productive, are now working their magic on two more neglected plots. Working outside, sharing knowledge, learning new skills, making friends – down at the allotment we have a wonderful community of members who really enjoy coming together to garden. 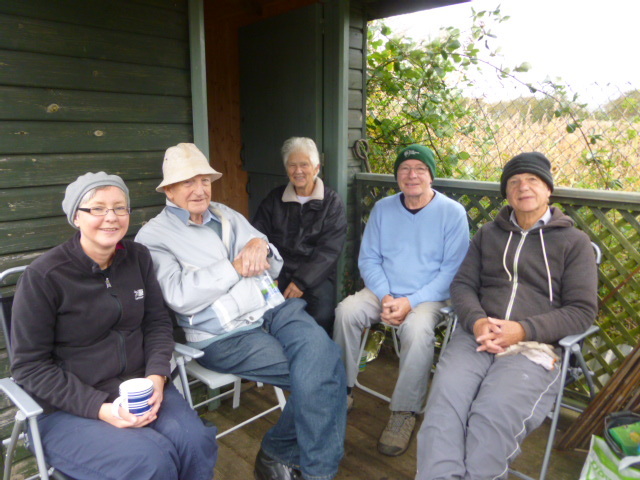 The allotments have really demonstrated how services like this can dramatically improve well-being and health; many of our members have told us that being able to come along and share this activity has changed their lives! Contact the Venton Centre for details.